VeraCrypt is a free disk encryption software that used to establish and maintain an on-the-fly-encrypted volume. On-the-fly encryption means that data is automatically encrypted right before it is saved and decrypted right after it is loaded, without any user intervention. This is a very secure method of data encryption as any data that is stored on an encrypted volume cannot be read (decrypted) without using the correct password/keyfile(s) or correct encryption keys. VeraCrypt is based on TrueCrypt (discontinued) and adds enhanced security to the algorithms used for system and partitions encryption making it immune to new developments in brute-force attacks. Moreover, It solves many vulnerabilities and security issues found in TrueCrypt. 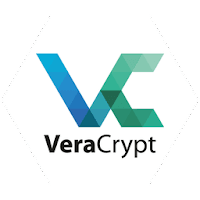 Disclaimer: Direct downloads for the lastest version of VeraCrypt 1.21 are provided by the official software's author, we can't guarantee safety, availability or download speed. Moreover, we don't and we won't provide any pirated/illegal versions or tools. We recommend you to avoid it as these methods can harm your device. If you like the software, buy it to support the developers. (We provide software discounts for many worldwide brands).